Live Music Now was founded in 1977 by Yehudi Menuhin and Ian Stoutzker CBE to train the best young musicians to give workshops in a range of challenging settings. It now delivers over 2,500 sessions each year, in care homes, communities, special needs schools, hospitals and more. It has about 350 trained musicians at any time, who stay on the scheme for 4-5 years. 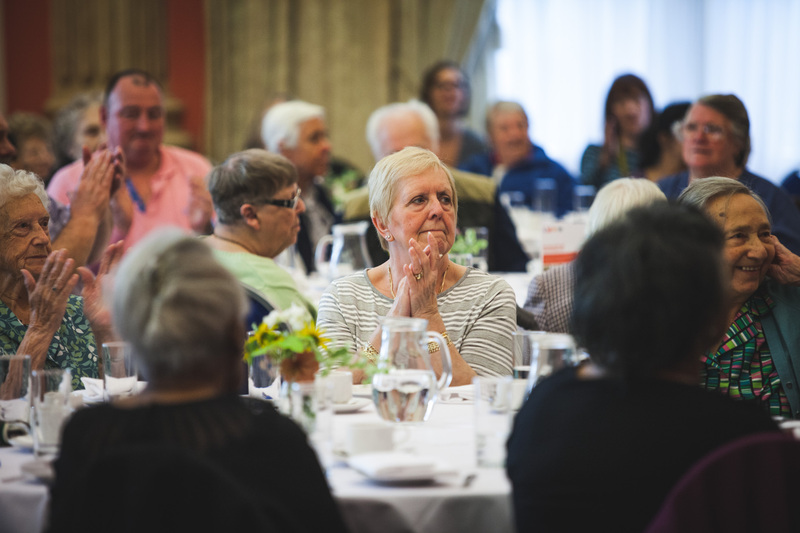 Including its alumni, LMN has a network of over 1,500 active musicians, who all have experience of leading interactive workshops in care homes, all around the UK. Sound Sense is the UK membership body and development agency for community music. Founded in 1991 by the sector it now represents some 1,000 community musicians, promoting the value of the work and assisting in their professional development. Community musicians work in all areas of disadvantage (health, social care criminal justice and more) and surveys indicate that almost a half work with older people, largely singing (43% on our members work vocally). The Sidney De Haan Research Centre for Arts and Health, Canterbury Christ Church University was established in 2005 and is a joint initiative between the Faculties of Health and Wellbeing and Arts and Humanities. The Centre is one of the UK’s leading research units in the growing field of arts, wellbeing and health, and is known internationally for its work on the role of regular singing in promoting health and wellbeing, particularly with older people affected by long-term conditions. Research and community projects have involved participants with dementia, Parkinson’s, respiratory illness and mental health challenges.